Admin User can search Booking Enquiry, view description of a selected Booking Enquiry, add Booking Enquiry, update Booking Enquiry and delete Booking Enquiry. 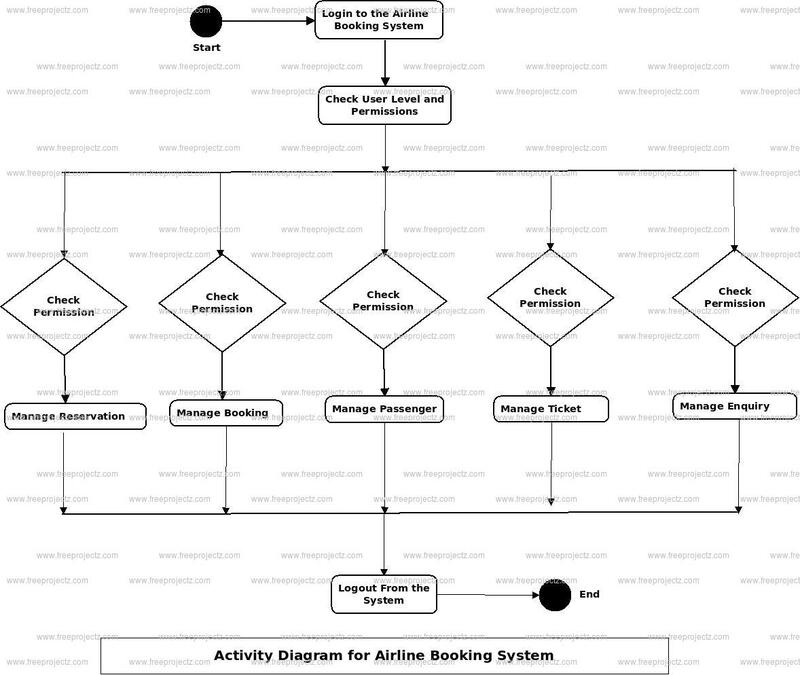 This is the Login Activity Diagram of Airline Booking System, which shows the flows of Login Activity, where admin will be able to login using their username and password. After login user can manage all the operations on Airlines Booking, Booking Enquiry, Airline Enquiry, Passengar, Ticket Booking. All the pages such as Airline Enquiry, Passengar, Ticket Booking are secure and user can access these page after login. 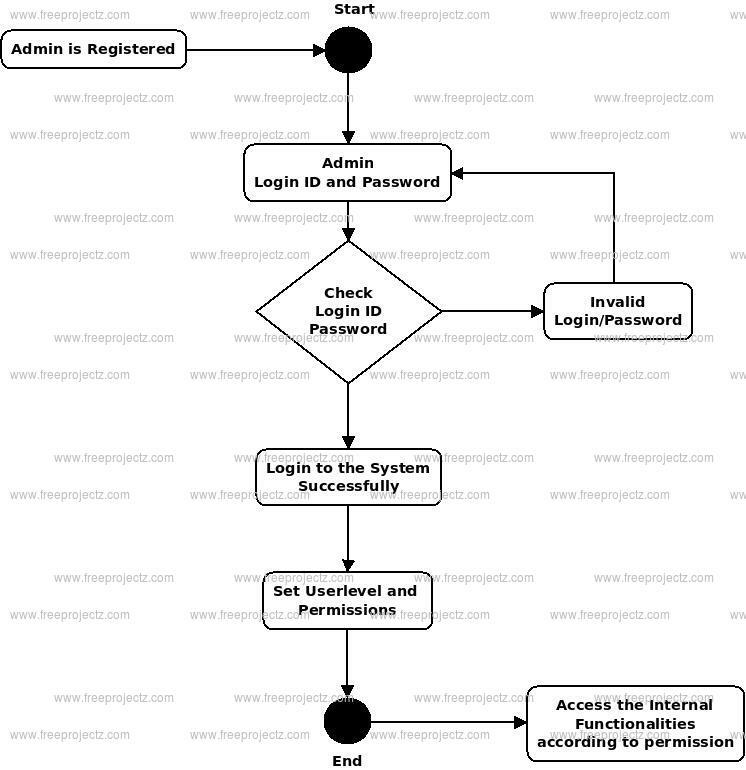 The diagram below helps demonstrate how the login page works in a Airline Booking System. The various objects in the Passengar, Airlines Booking, Booking Enquiry, Airline Enquiry, and Ticket Booking page—interact over the course of the Activity, and user will not be able to access this page without verifying their identity.